HALF BLOOD Streams New Track "Adamas"
Santiago, Chile based metal band HALF BLOOD have released the second single, "Adamas", off of their debut, eponymous full length EP. 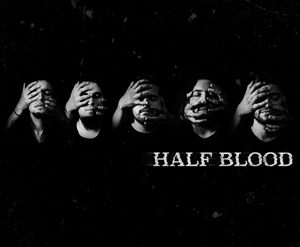 Due to release mid 2017, Half Blood is self-produced with vocal production by Logan Mader (GOJIRA, CAVALERA CONSPIRACY, FEAR FACTORY). You can check it out streaming below. HALF BLOOD was created in late 2014 when Manuel Castillo (ex-DISSORS) and Pablo Abatte (NUEVE CIRCULOS) began the search for a new live and studio, professional sound. Javier Contreras (ex-DISSORS) later joined the project and together they started composing HALF BLOOD’s first songs. Half Blood will be released in mid 2017 and will be available in physical and digital format through Itunes, Spotify, and Amazon.